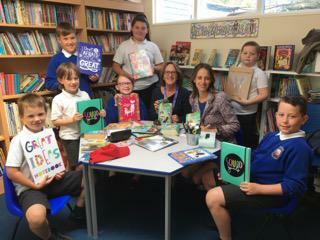 Back on the 29th June we had a special visitor in school, Helen Whately, our local MP. Helen came in and sat with Mrs Vincent, our reading volunteer and a few of our children whilst they read. Helen was impressed with the school and how the small school works well for all the children. The children were so polite and well behaved and Crompton Class asked some great questions!